2013 Pretoria train collision: Two passenger trains packed with schoolchildren and rush-hour commuters collide near Pretoria, South Africa, injuring up to 300 people in a crash. At least 300 people, including many schoolchildren, are injured when two passenger trains collide near the South African capital, Pretoria, officials say. 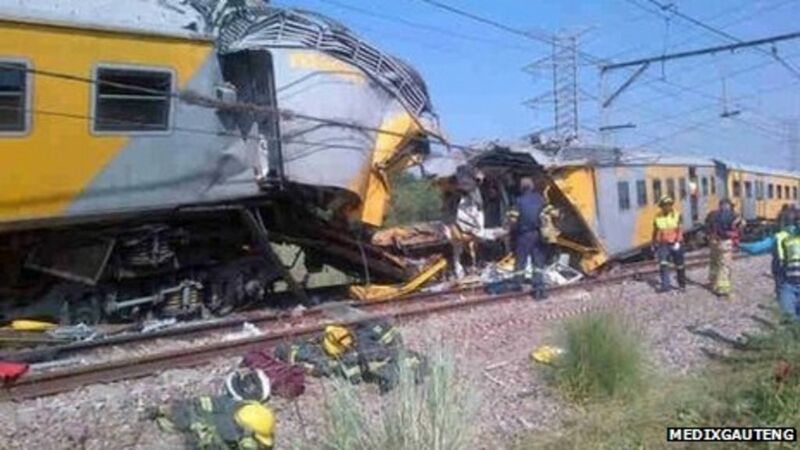 2019-01-8 Two passenger trains collide in Pretoria, South Africa, killing at least four people and injuring at least 620 others. 2015-06-15 The High Court in Pretoria rules that the President of Sudan Omar Al-Bashir should be arrested in South Africa and detained pending a formal request from the International Criminal Court. However, immediately after the ruling, the South African Government announces that Al-Bashir has already departed. He is wanted in connection with the war in Darfur. 2013-06-8 Former South African president Nelson Mandela is readmitted to a Pretoria hospital in a serious condition with a recurring lung infection. 2013-02-14 South African amputee sprint runner Oscar Pistorius, who competed in the 2012 Summer Olympics, is charged with the murder of his girlfriend, Reeva Steenkamp, who was shot dead at Pistorius's home in Pretoria. 2012-12-26 Former South African President and anti-apartheid leader Nelson Mandela, 94, in still-fragile health, is released from the hospital in Pretoria, South Africa to receive continuing at-home care. He had had his longest period of hospitalization (more than 2 weeks) there since his 1990 release from prison, as the result of a gallstone removal operation and a lung infection.